Finally a "seventies" album! CMT is proud to present their latest release which promises to be another winner! Again the STAR team has done all the edits on this album, and they did an even better job , with lots of excellent edits, and surprises. Unlike other “import” labels, they truly were able to produce an album using many incomplete takes , to create beautiful new tracks. Their professional edits will blow you away, and will make you believe these are unreleased takes. It starts of with a great edit of "Trouble/Guitar Man" have we heard this before? "Ill Be There" has a complete different opening, "Pledging My Love" sounds very different, Moody Blue has the "Supicious Minds" approach with fade in/fade out effect, "The Sound of You Cry" was shortened for a chance, and has more power then ever. "Kentucky Rain" runs much longer and listen to the drama in Elvis' voice! For the first time a "live-splice" was used and makes "It's Impossible" a great bonus! We could go on, but the best thing to do is PRE-ORDER now, and enjoy all of these tracks by yourself! 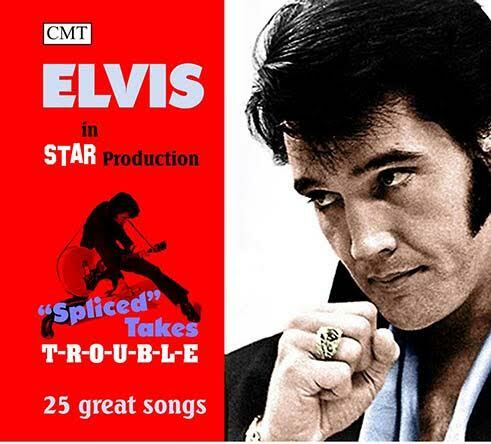 Elvis fans have been spoiled over the years, and they all know.. “the end is near” almost every complete take available has been released, so this is as close as you can get for a “New” album! The set comes in a “Deluxe Digipack” with beautiful artwork, and is strictly limited to 500 copies! well 'CRAP' maybe an 'overused expression' BUT it does perfectly sum up the type of release~! Is it just me or is anyone else getting bored constantly reading the word CRAP by the Cisko person. (and then another few people repeating it). I mean, you don't like a lot of stuff, we get that but maybe you could try and broaden your vocabulary. Thanks Cisco, that's awesome! I hope someday they give the "On Tour" rehearsals the same treatment. The label is really top notch. Sure...my latest info is it will come..